I have a family of three dirty boys, four if you count my husband. That means I wash a lot of clothes and use a lot of detergents. It seems like I am always buying detergent and other laundry supplies. I could stock up on the supplies buy the bottles take up a lot of space in the laundry room. 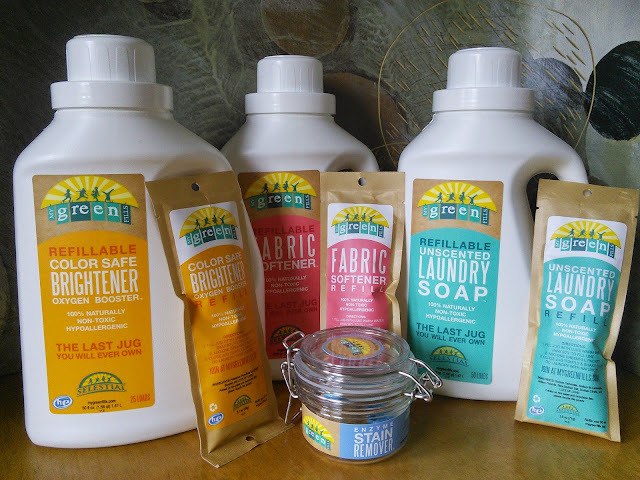 Another problem with using a lot of laundry products is the waste they cause. I do recycle the bottles but they fill up my bin leaving no room for other items in the bin. I also hate to think about what all the bottles are doing to the planet. Did you know the U.S. uses over 1 billion plastic laundry bottles a year? I sure hope they are getting recycled, if not end to end these bottles would circle the planet 6 times! Yikes! MyGreenFills has come up with a simple solution to my problem and it is a smart one too. They make natural laundry products that allow you to reuse the same bottle over and over, saving you money. You buy a bottle and it comes with a recyclable packet filled with powder detergent. You pour the powder into the bottle and add water. When the detergent is gone you just buy another small packet of product to add to your bottle again. The cool thing is the packets are small and don't take up much room, so would can store extras in your laundry room. The other cool thing is you can choose how often and how many detergent packets you want to be delivered every month or so. That way the detergent is there when you need it and you also get free shipping. 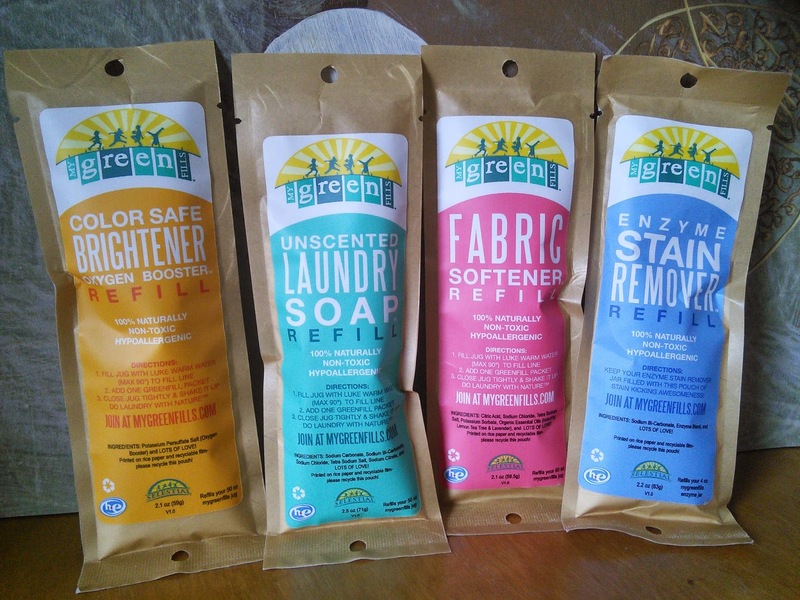 MyGreenFill makes 100% Natural laundry products that are Nontoxic, and Hypoallergenic. 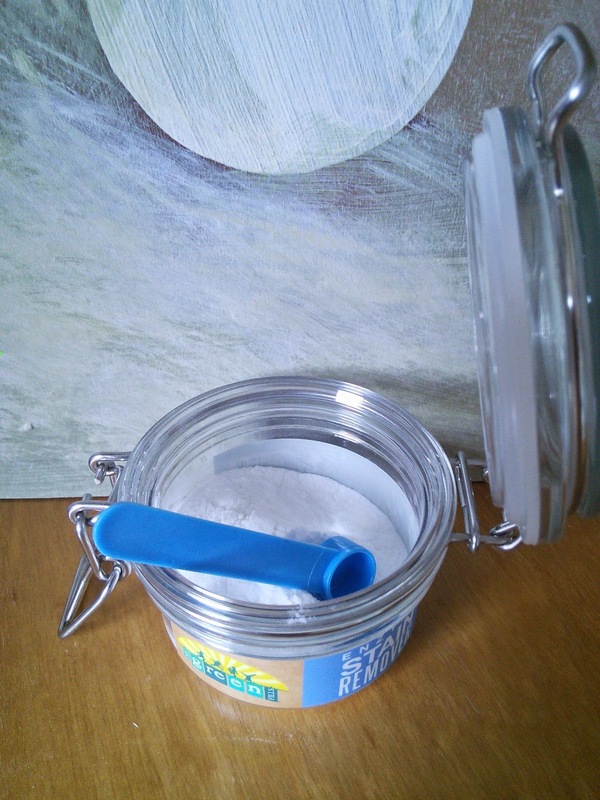 Their products are concentrated giving you up to 50 loads per package and clean wonderful in cold water. 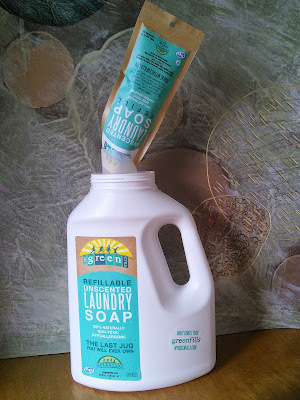 I put the laundry products to the test with my boy's dirty clothes using MyGreenFill Laundry soap, color safe brightener, fabric softener, and stain remover. I am happy to say their clothes came out clean and fresh smelling. The stain remover helped get the tough stains out with the power of natural enzymes. I loved that I was able to use natural products, keeping chemicals out of the water. 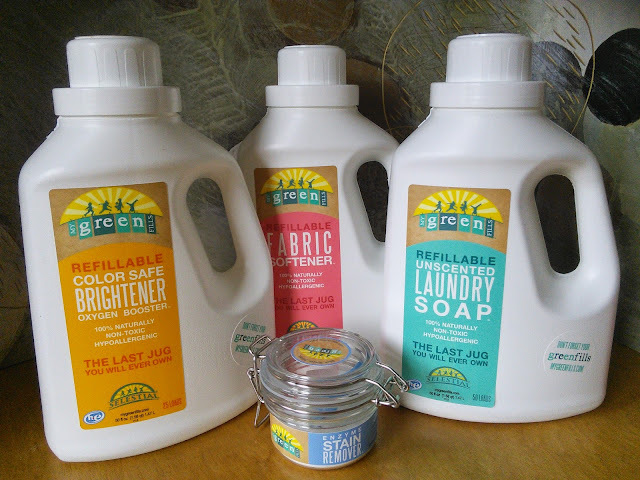 Check out MyGreenFill to see all the products they offer and how you can save money, time and the planet with your laundry. I have an awesome deal for my readers. 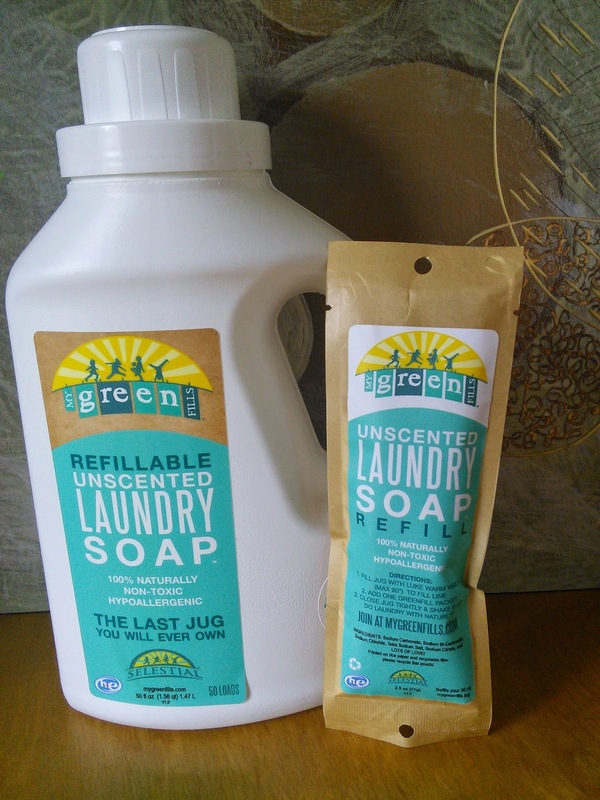 You can get a free laundry soap jug and make it the last jug you will ever own for free. Click on the below link for details. "These opinions are my own and I was sent the above-mentioned products in exchange for a review." This sure seems like quite a good solution. I don't use liquid laundry products but you could also store the powder and then add the water later I guess. I love reviews on green products. Pinning. This is a great idea, I would love to store laundry items but I simply don't have the space. This is the answer! Looks like a great way to save money! non-toxic, Hypoallergenic, and all natural? Count me in, there's nothing not to love. I love to try these products. Thank you for sharing about it. Green is the way to go! FREE Hershey’s Caramels Milk Chocolate!! !